This entry was posted in Environment, Gardening, lifestyle and tagged hare, lilac, perspective, photography, sunset. Bookmark the permalink. 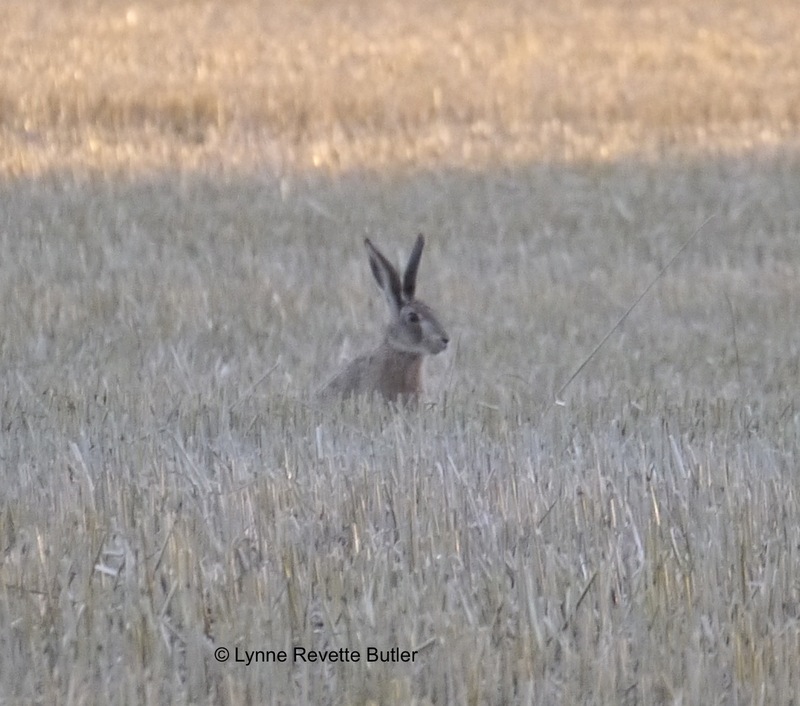 I thought the hare’s ears were at a good angle, as if it was listening carefully; in most of my “still” photos of them their ears are flat back over their necks. So, are the British hares different than our rabbits? The ears do appear a bit longer and the body/face a bit slimmer…or is this just Amer-Anglo semantics? Lovely shots, btw! Simple answer is yes, rabbits and hares are different. They come from the same “family” (leporids) but hares are leaner, faster and don’t dig burrows. Unsurprisingly, that is a photo of a brown hare. Glad you like the pics. That’s quite a different rabbit than the Cotton-Tail we have here in Missouri. There used to be Jack Rabbits, but they went extinct many years ago. Even the Cotton-Tail is uncommon now in some places. I had one in my back yard in Mississippi and I have only seen one here on the farm.